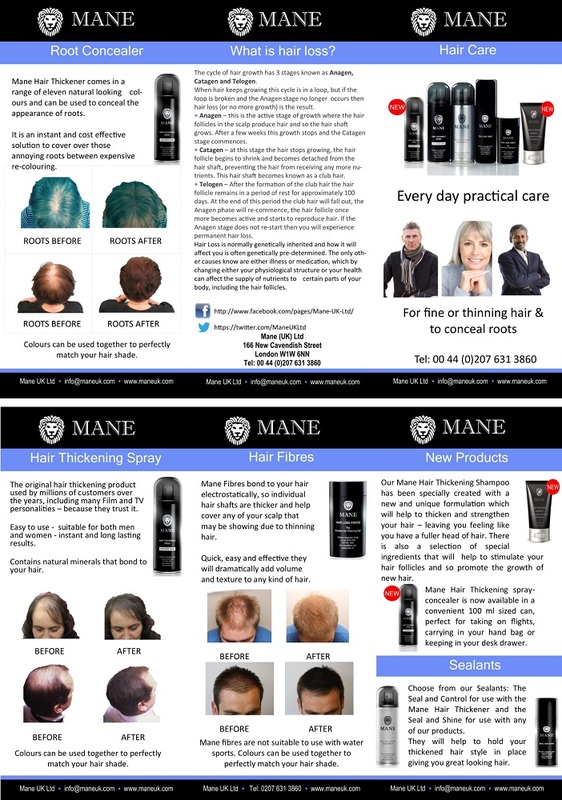 NEW – Mane Hair Thickening Spray and Root Concealer Travel size. Your favourite Hair Thickening spray/concealer is now available in a convenient 100 ml sized can – perfect for taking on flights – carrying in your hand bag or keeping in your desk drawer. It is exactly the same formulation as the 200 ml spray – so you can rest assured that it will provide instantly thicker, natural looking hair, helping to change the way you look and feel in seconds. 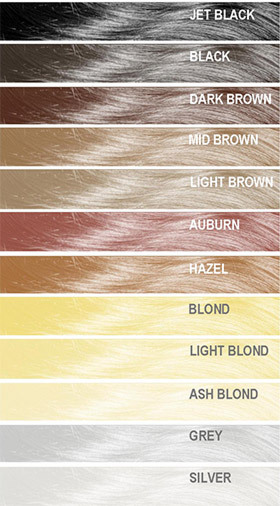 Available in our 5 best selling shades, you can also use this spray to cover over roots between hair dyes – quickly and easily. 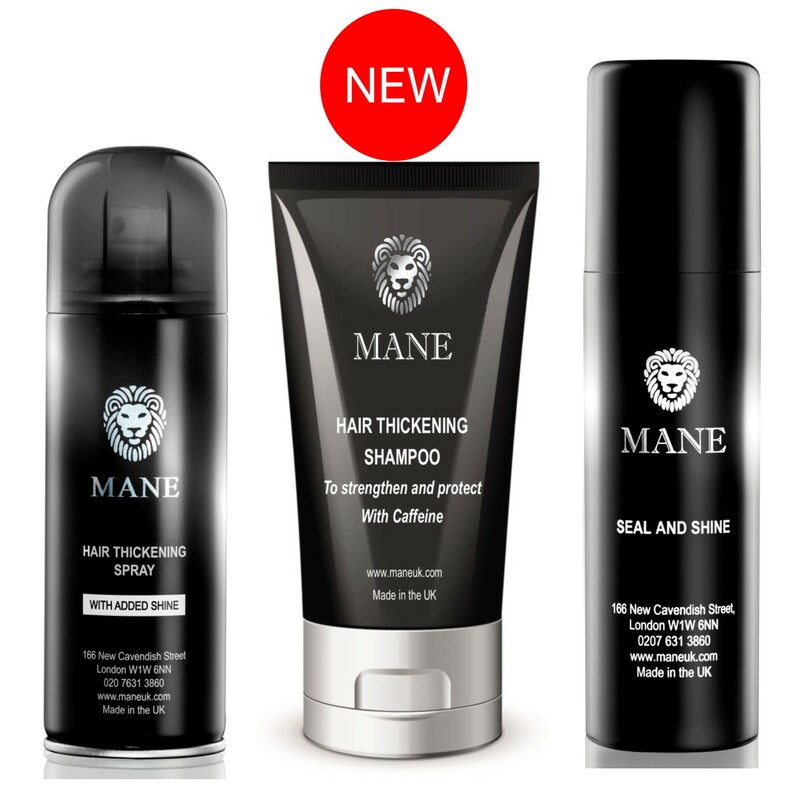 New Mane Hair Thickening Shampoo has been specially formulated to thicken, protect and strengthen your hair as well as help your hair to re-grow. Available in an convenient 100 ml tube – it can travel with you in your luggage or sports bags to complement your hair care regime. Unisex fragrance. Mane Seal and Shine has been formulated with a rich blend of specialised ingredients that add lustre and shine to your hair. 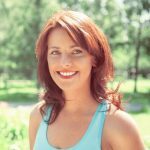 Its non aerosol pump action delivers a fine spray across your thickened hair style, leaving a soft and gentle hold that will last all day, making your hair look thicker for longer with a natural great looking shine. (Please note not waterproof).